One thing I really like about the ACI (Application Centric Infrastructure) APIC (Application Policy Infrastructure Controller) GUI is how helpful it is. 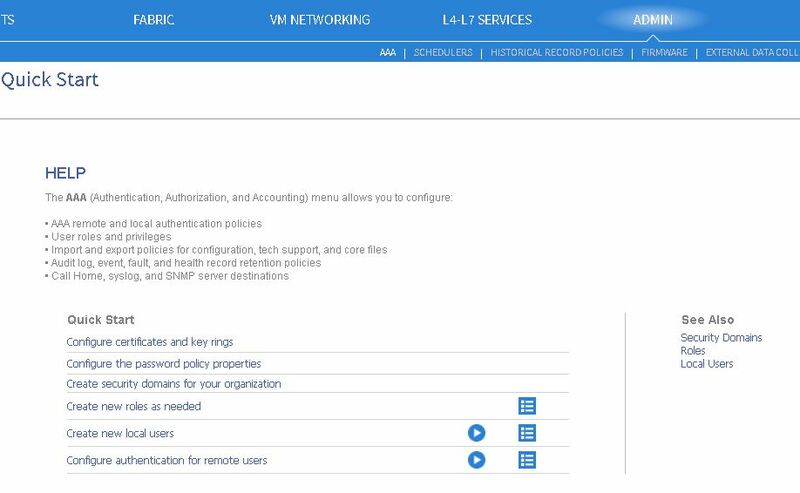 There are several products out there that have used the idea of putting a Quick Start within their product on the welcome pages such as VMware SRM and Zenoss, and now the APIC GUI has that as well as shown below. When you click on the links under the Quick Start guide you get a tutorial on how to do it, as well as an optional video to watch. To the right of the Quick Start is a list of words and concepts that will help you familiarize yourself with networking concepts in general and ACI specifically.